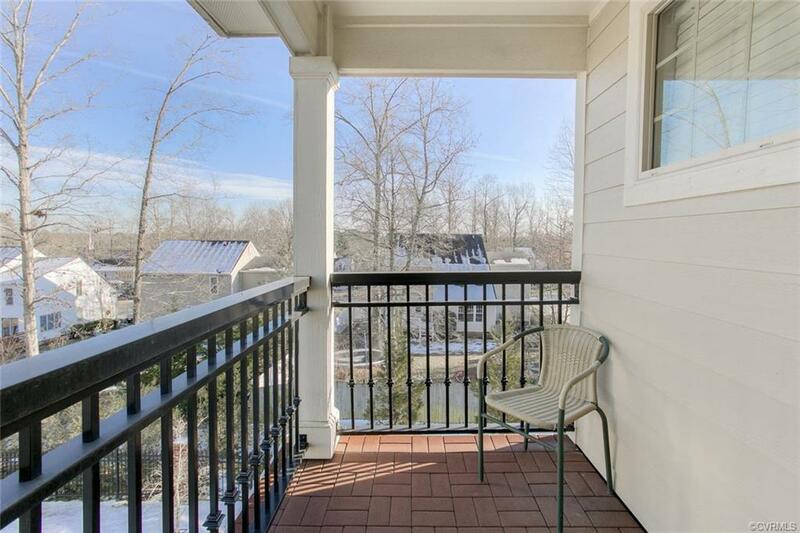 Impressive price improvement just in time for spring! 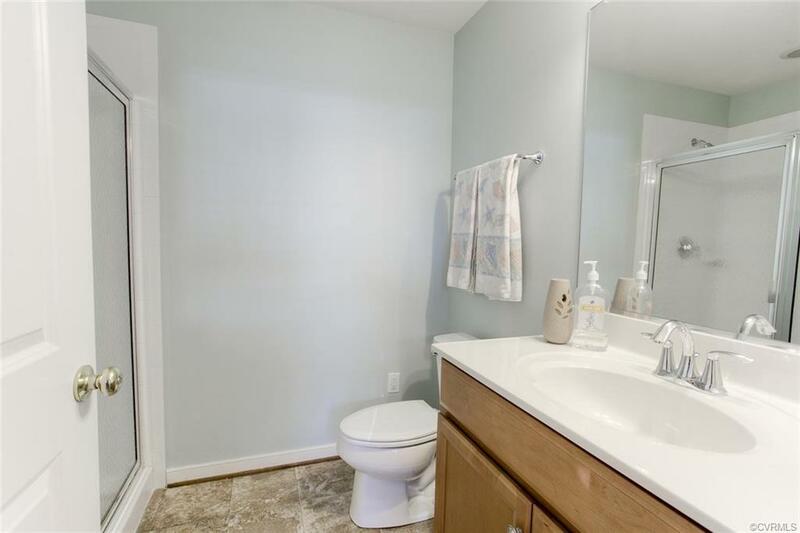 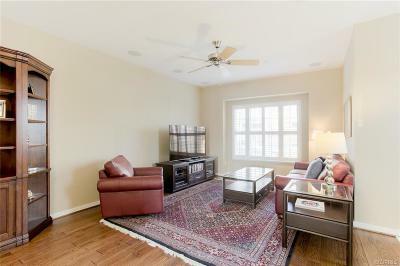 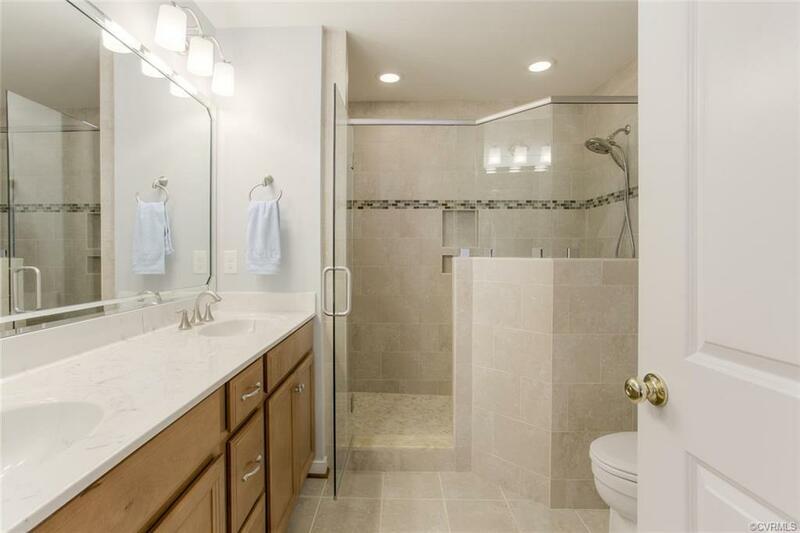 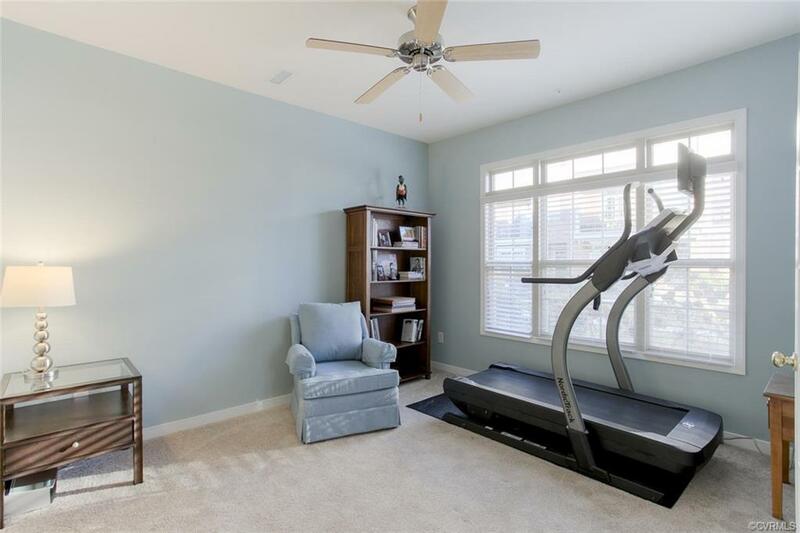 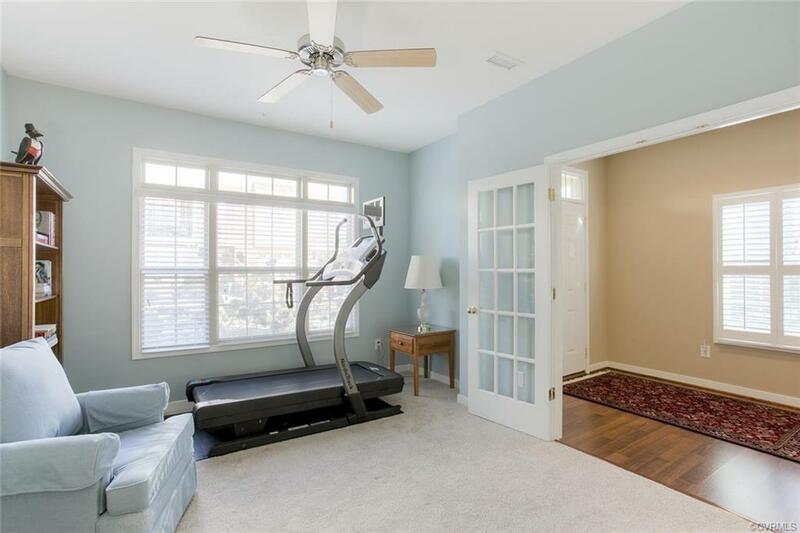 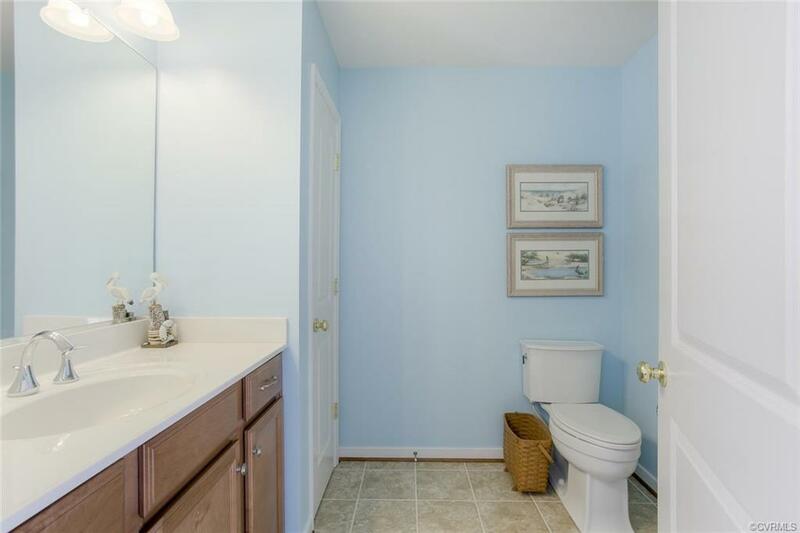 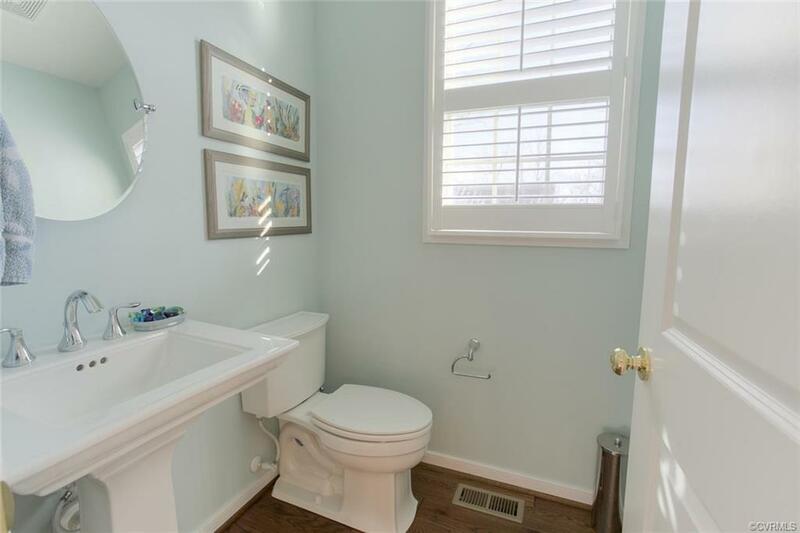 Why buy new when you can move into this classy END unit with many upgrades already included? Plantation shutters and 5 inch hardwood floors on the main level, not to mention a family room with surround sound speakers just to name a few! 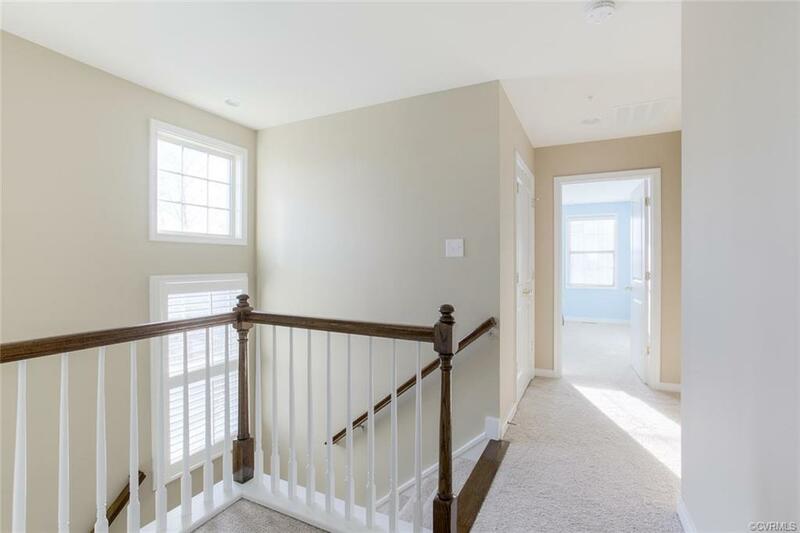 The walk out above ground basement level features a third bedroom( or office) with full bath. 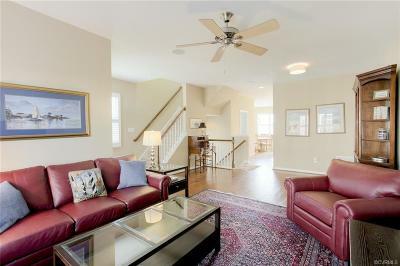 The open first floor offers a family room and dining area. 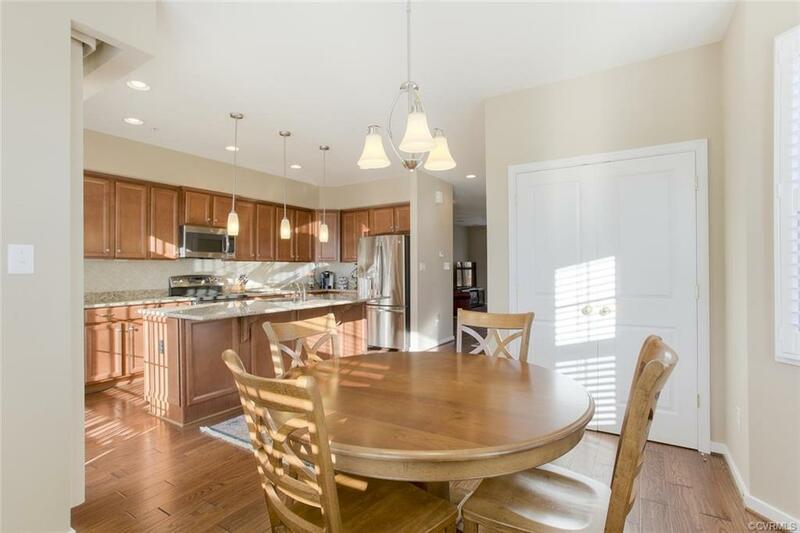 The designer kitchen bathed in natural light gleams with an enormous island and cozy breakfast nook. 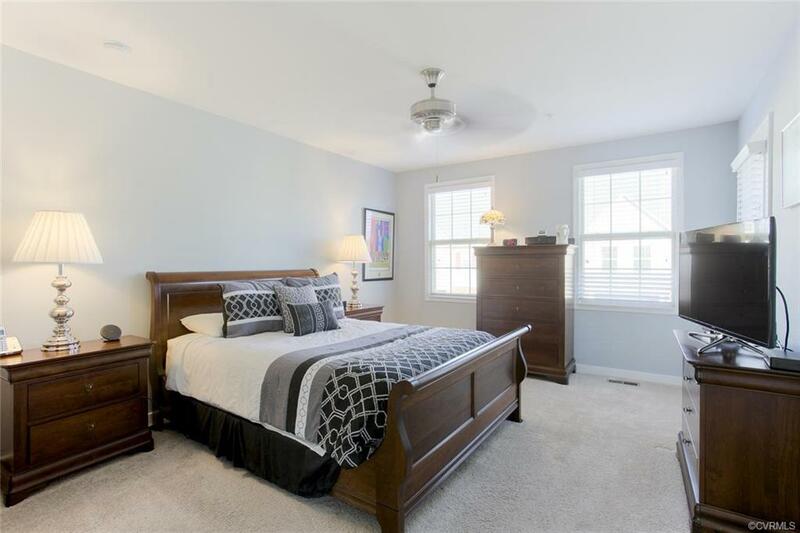 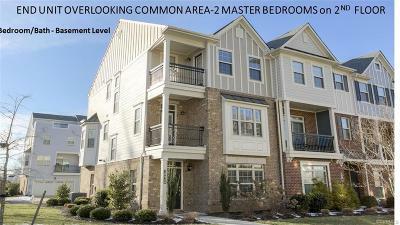 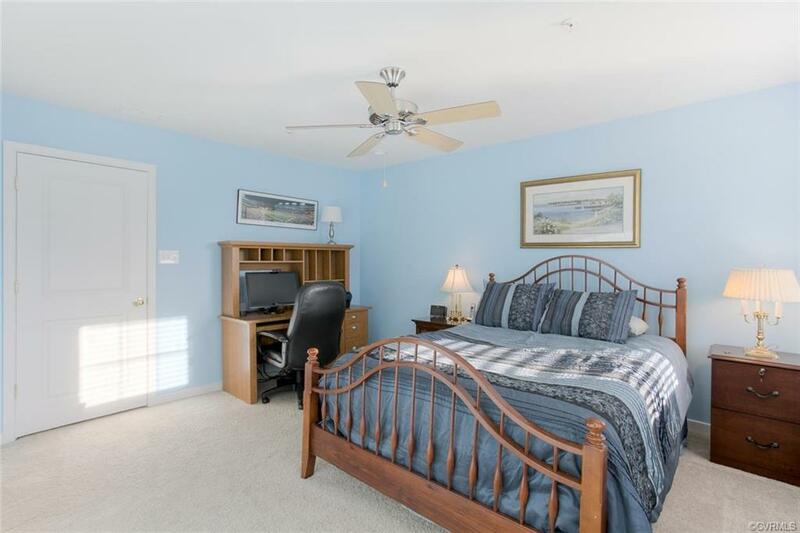 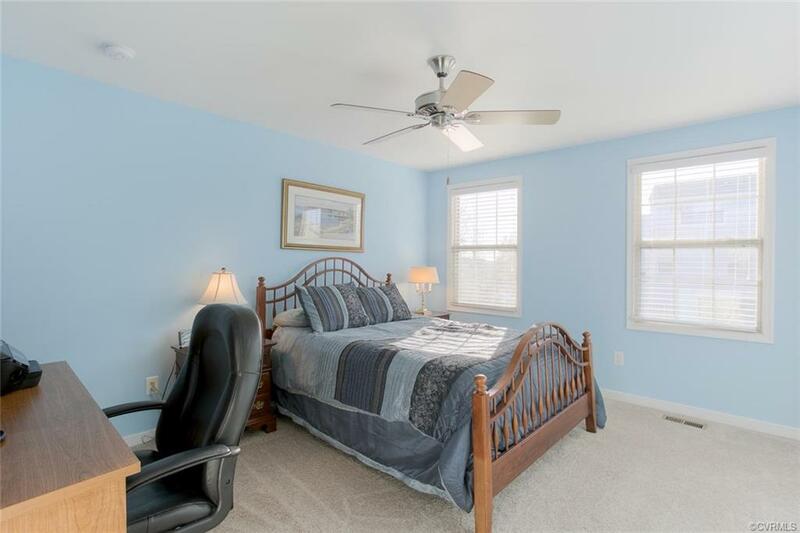 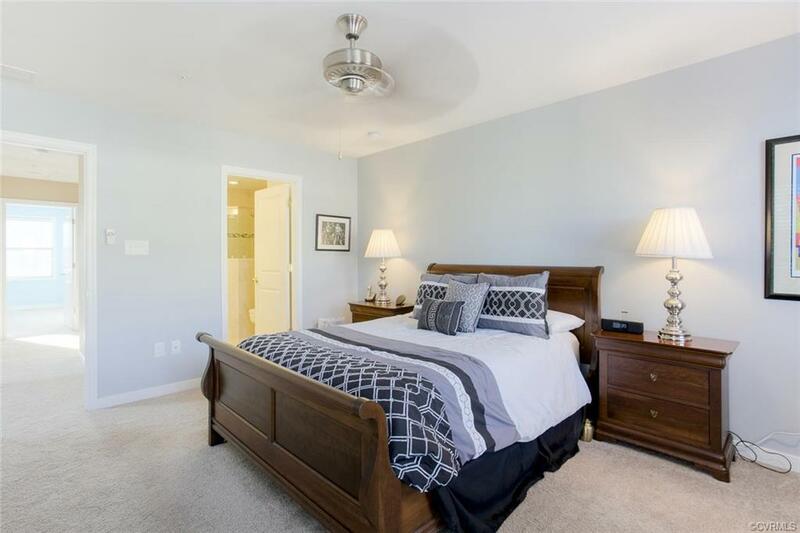 2 well proportioned master bedrooms- each with walk in closets and luxurious baths-are located on the second floor. 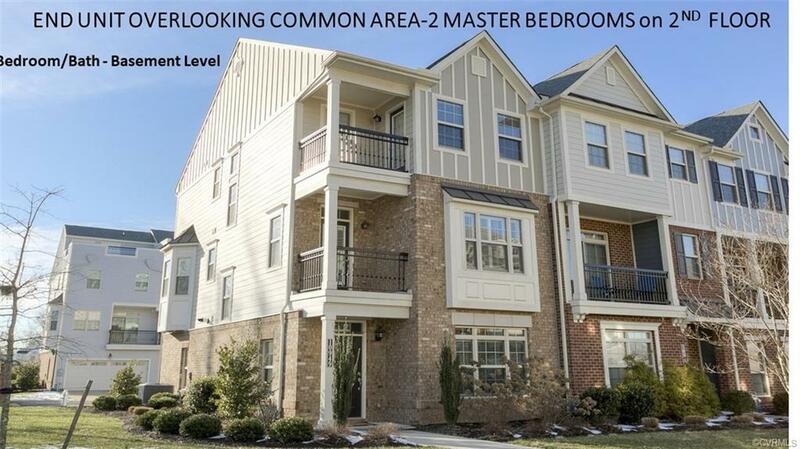 Don't forget the private balconies and a two car garage. 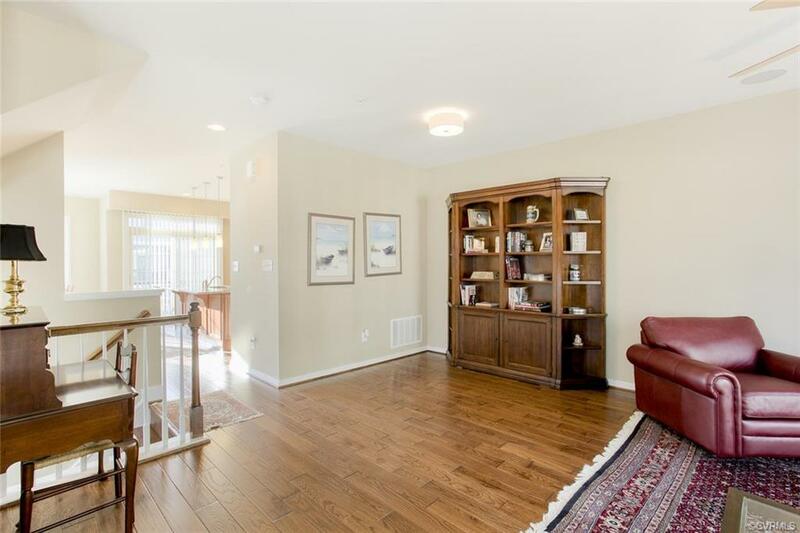 BEST OF ALL IS THE LOCATION OF THIS PARTICULAR END UNIT AS IT THE FURTHEST AWAY FROM ANY MAIN ROADS AND OVERLOOKS COMMON AREA NEXT TO A SINGLE FAMILY HOME NEIGHBORHOOD. 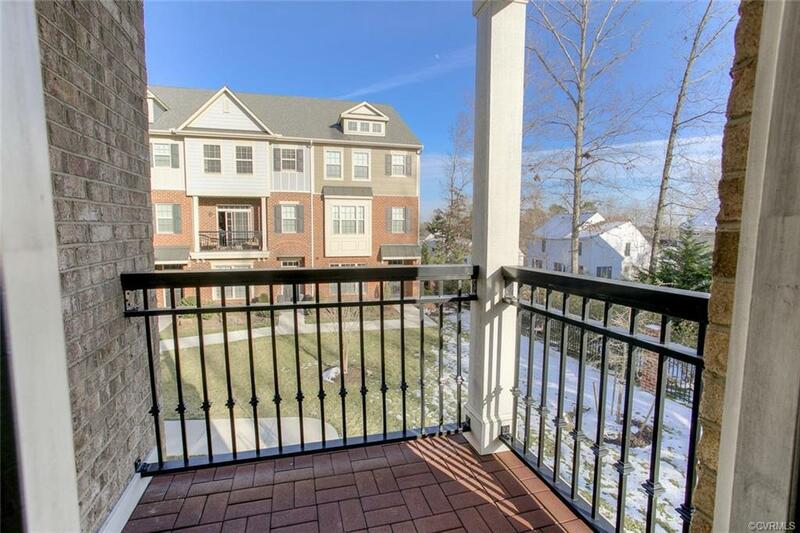 Walk to grocery stores and eateries. 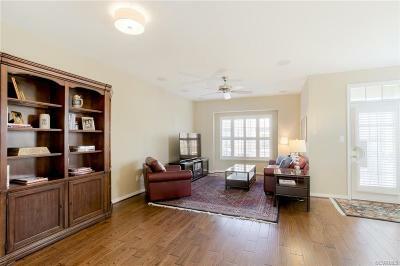 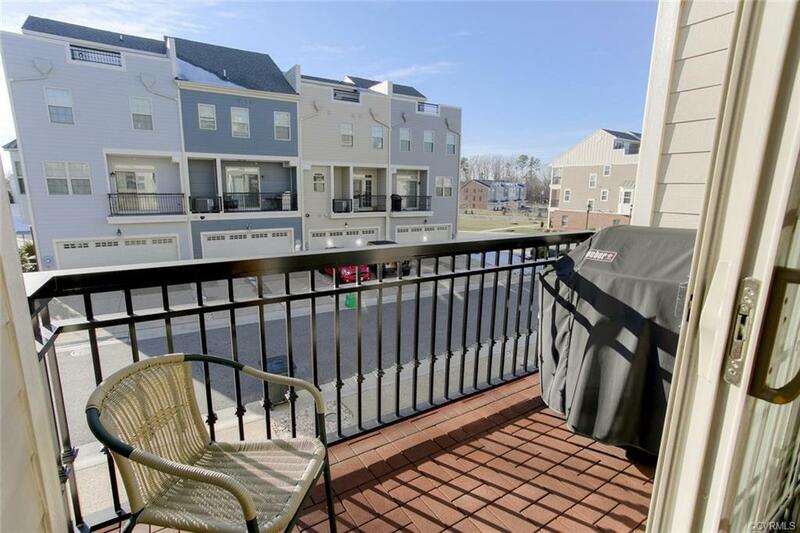 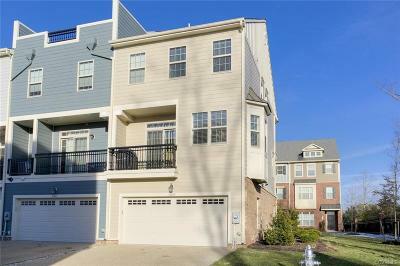 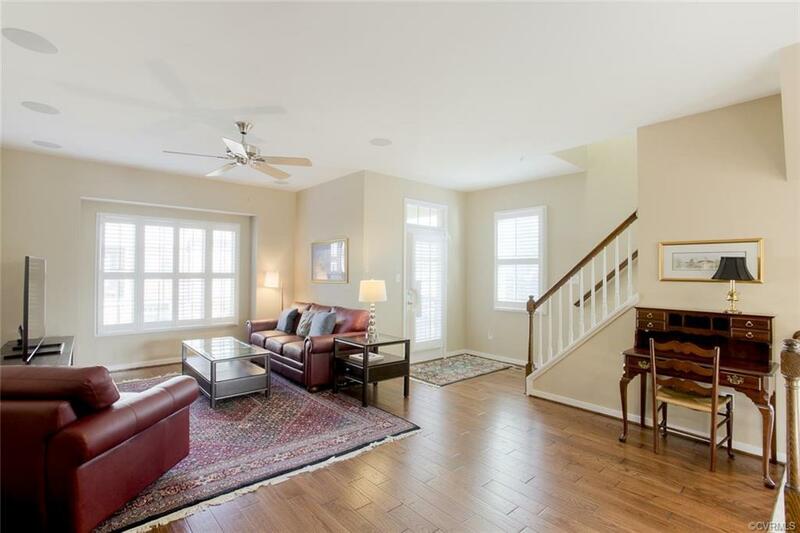 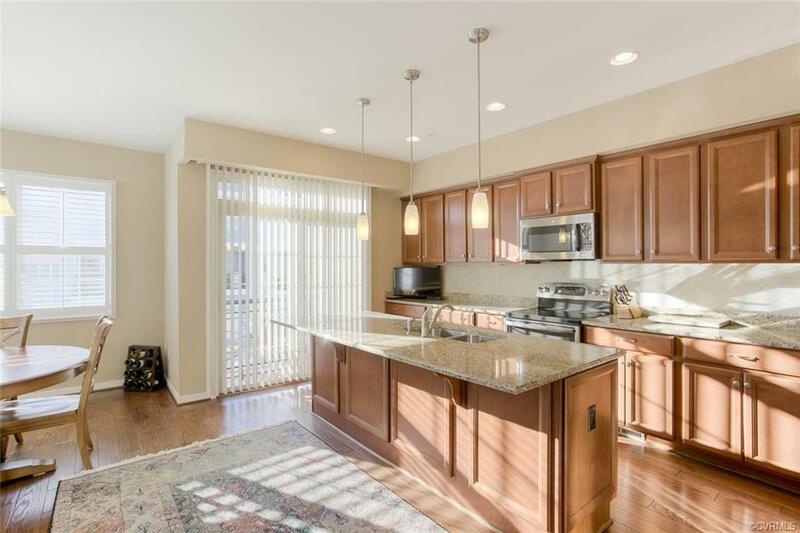 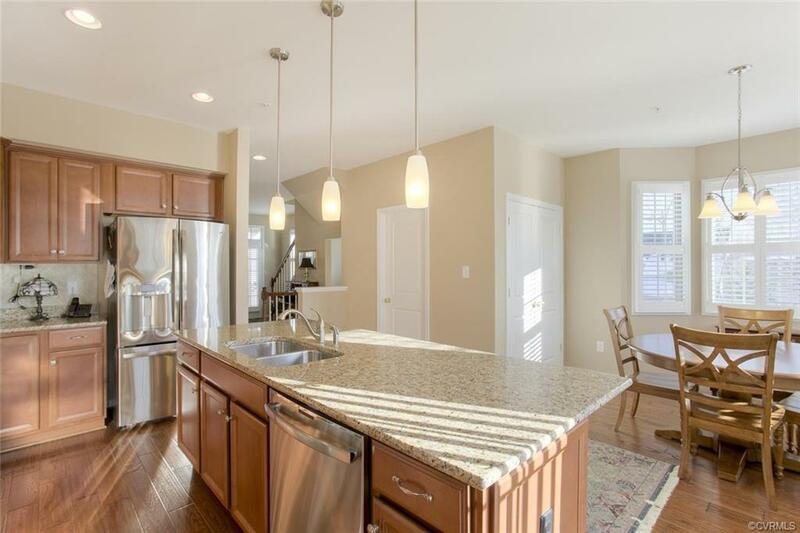 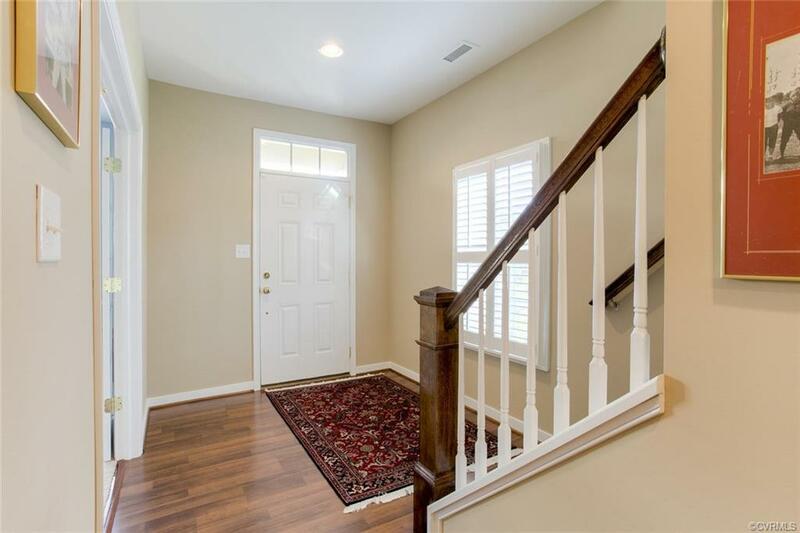 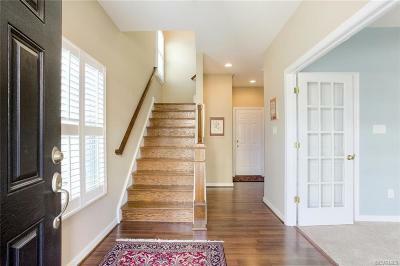 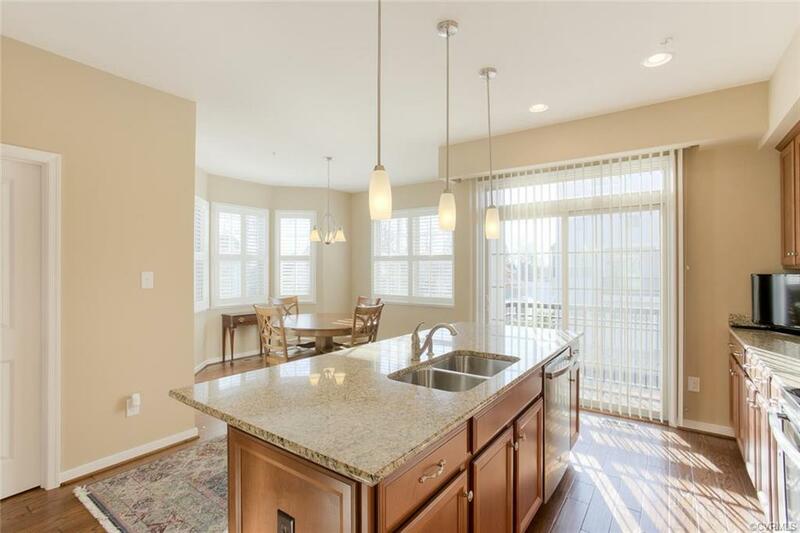 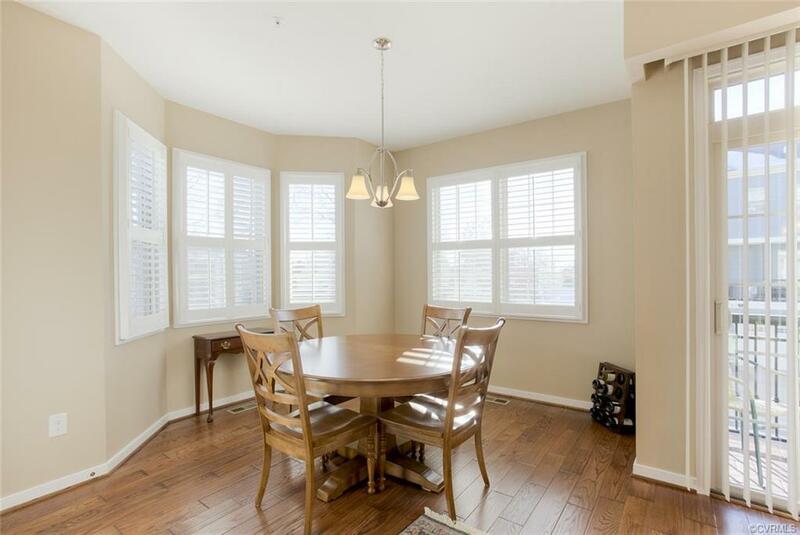 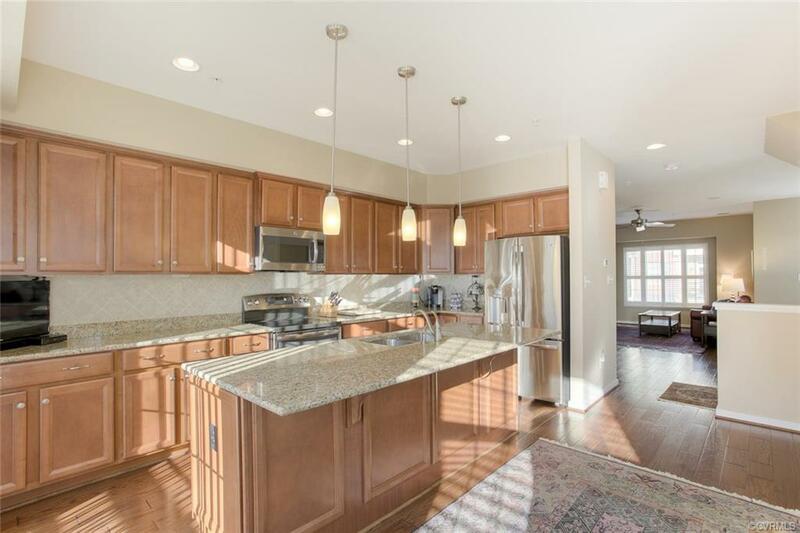 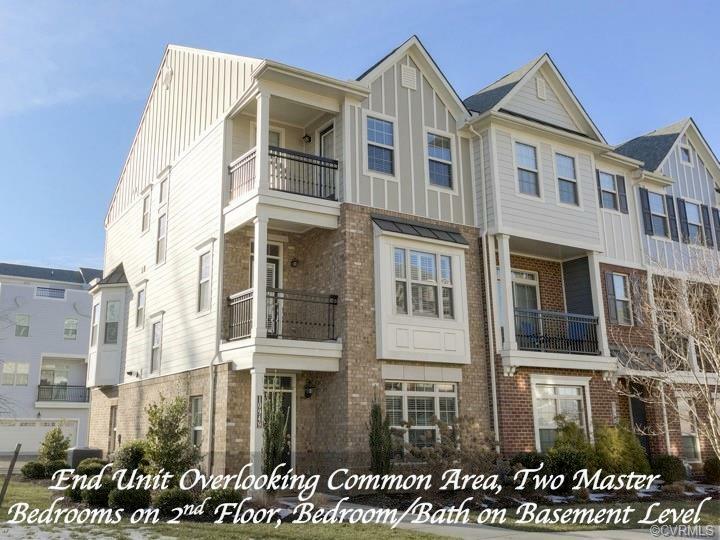 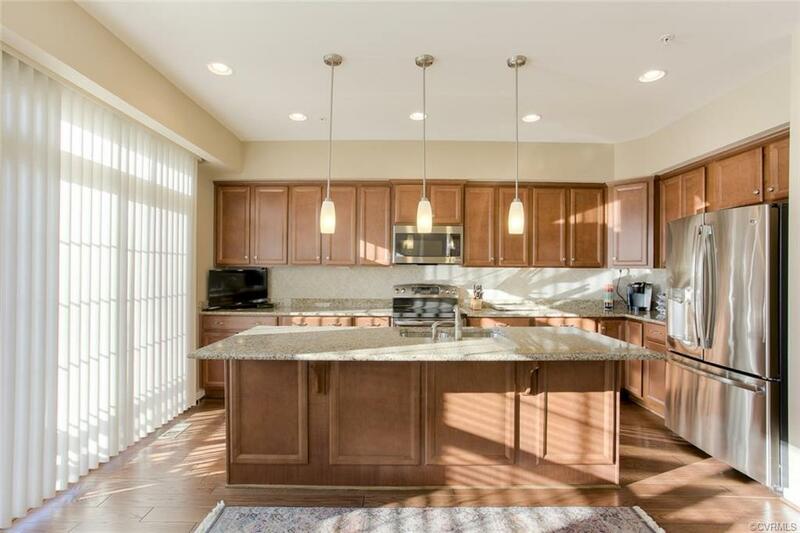 Minutes from I-64 and Short Pump Town Center.